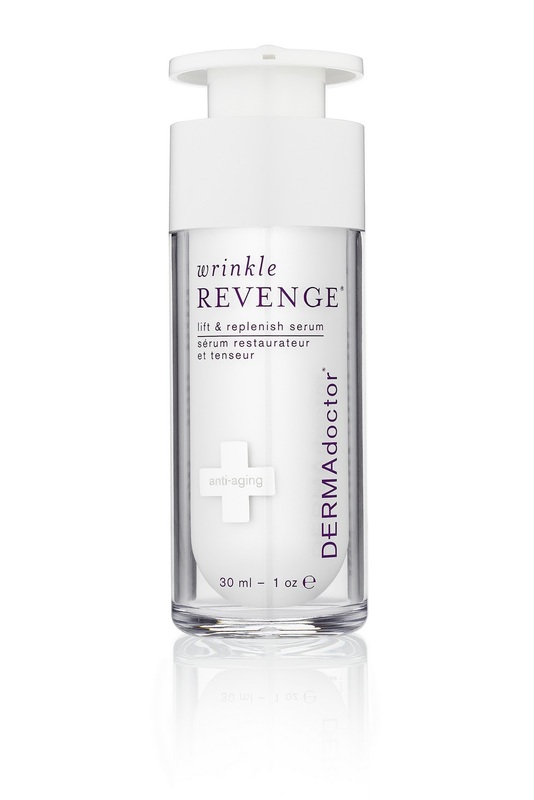 We had so many requests to expand on the Wrinkle Revenge line at DERMAdoctor in the past year that Dr. Kunin decided to add a hyaluronic acid serum! This makes me very happy do to my strong love of all things hyaluronic. As per usual with DERMAdoctor products though, Wrinkle Revenge Lift & Replenish Serum is not JUST a hyaluronic acid: it is 2 unique forms of hyaluronic and an igredient (new even to me) that rebuilds your body's own ability to produce hyaluronic acid and elastin fibers called Calcium Ketogluconate. Calcium Keto-what? Who really cares, as long as it works. We had some amazing results in our clinical studies that included a 27% increase in volume, significant decrease in skin fatigue and a significant increase in elasticity when used twice a day for 28 days. 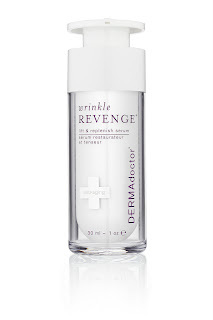 Read more about Wrinkle Revenge Lift & Protect Serum here. At $65 an ounce this serum is very affordable when compared to others on the market for $85 and up. I have been using this in place of my moisturizer and primer to prep my skin for foundation and it works beautifully! CLOSED - Want to win one? I will be giving one away Friday, January 27th. Just make sure you are following me on Twitter (I will DM the winner for their shipping address - open to all countries) and leave a comment below stating that you want to be entered to win. Good luck! Ooh! I definitely want to win! Boy would I love to win this. Everything I've tried from Dermadoctor is amazing. That was me, sorry! I would love to be entered as well, love this stuff.